Our main seminar points, still included in our presentation today, cover the basics of a blog, a Facebook group and photos, and how to utilize those tools to get the word out in the best way possible. Topic highlights include photo tagging, a blog’s RSS feed, and the basics of Facebook key word advertising. Setting up the blog and the photos in some of the various social network “touch points” including Flickr, Plaxo, LinkedIn and MyBlogLog have been the cornerstones of more modern social network marketing, allowing content to spread virally in some of the key social networks online that have some of the strongest overall traffic. It is this topic that has been expanded in our updated seminar and webinar series for 2009. Delving into more detail, we’re able to help companies understand how to take their social network marketing to that next level. Now that it is becoming more easily understood that the Internet is the new operating system of the future, the concept of placing photos in one location, content in the form of a blog in another location, and allowing that content to spread far and wide through preset social network connections a company has set up exclusively for their needs, is the primary topic that has been further elaborated on in our presentation. We also touch on the more advanced, and in some ways more labor-intensive aspects of social network marketing, presenting examples which should allow a company to decide if ramping up their social network marketing efforts is right for them. Working a customized social network using Ning.com, for example, or watching various blogs and other niche social networks from which to both participate, post and comment on ongoing conversations, can work very well in taking a company’s online marketing to that next level. 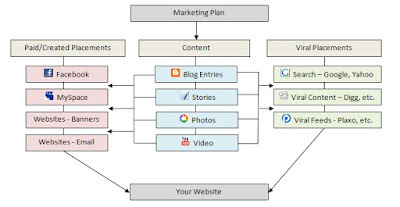 The power of networking in Facebook Groups, as well as focusing on the key “influencers” in social networking including Facebook group leaders and administrators, power Twitter users, Yelp reviewers and key industry bloggers is expanded upon in a way that should hopefully demistify this level of online marketing taking hold in 2009. 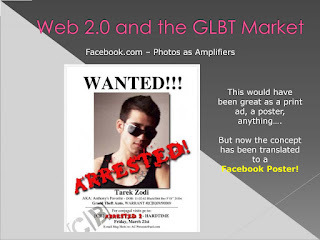 Watch for our upcoming webinar schedule in our next Gay Business Report in March 2009.